From July 2018, the Country of Origin Food (CoOL) Labelling scheme becomes mandatory for many retail foods. The new Country of Origin Information Standard requires both locally produced and imported foods considered priority foods, to be labelled with the new Country of Origin information and logos. 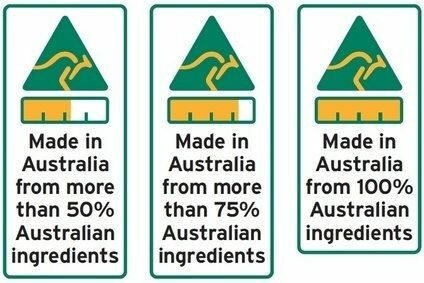 This includes kangaroo icon, bar chart with % Australian ingredients and a CoOL text statement in a defined box.